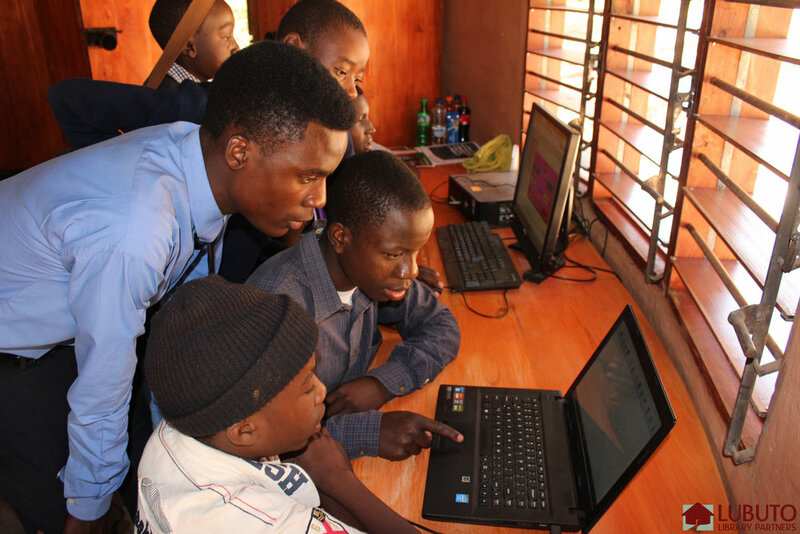 Public-access computers, educational tablets, and accessible technology for the blind support some of Lubuto’s most innovative programming. In Zambia, Lubuto’s All Children Reading Grand Challenge-winning LubutoLiteracy lessons, an extensive series of computer-based reading lessons in each of the 7 major Zambian languages, provides a path to reading for out-of-school children. Lubuto is creating a digital repository of Zambia’s literary heritage. The libraries also offer computer access to Zambian curriculum content, along with instructional videos developed by Zambia’s Ministry of Education to teach the secondary school curriculum to out-of-school learners. Interactive English-language reading instruction is offered through an evidence-based software package for English Language Learners. Lubuto has successfully advocated for free Internet in public libraries in Zambia, providing an essential link to the wider world and opportunity. Lubuto trains library staff and partners with community groups to provide information and digital literacy instruction and other programming (e.g. coding, digital art, gaming), with an emphasis on attracting girls to technology and STEM programs, and on availing technology access for the blind and visually impaired. Development of adaptable maker spaces meeting a range of needs (e.g. supporting mothers and girls to prevent early marriage through livelihoods training) is a current Lubuto initiative.